Before entering Adams Recovery Center, I was desperate, hopeless, miserable and homeless. I had gotten to a point in my addiction where I just didn’t want to do it anymore. The entire thing—from waking up sick, to stealing from people or stores in order to support my habit, to demolishing every existing relationship I had, all while destroying my body. I couldn’t live without the drugs. I would physically be ill without them, but I couldn’t take living with them either. After numerous overdoses, jail stints and a previous rehab stay failed to sink into my distorted brain, I knew something had to give. A friend of mine mentioned Adams Recovery Center, and I called immediately. The only good thing about being homeless was that I had received medical insurance from the state, which Adams happened to take. Once I arrived, I immediately knew this program wasn’t going to be easy. It’s based around a “therapeutic community” theory, which basically meant that my sisters (the other residents) held me responsible and accountable for my actions. Also, focused on the lifestyle overall, not just on abstinence. That meant that I was able to look at my behaviors and take action into changing them into healthy behaviors. I was able to really find core issues behind why I continued to use drugs. I was able to really look within myself, dig deep and find out who I truly was. Drugs and alcohol had covered all of that up for years. Once I neared the end of my stay at ARC, my counselor assisted me in finding sober-living houses to go to after I graduated. I found one and was accepted and then created a healthy sober support network, while continuing outpatient treatment at ARC. Fast-forward 19 months, and for the first time in my life, I’m living in my own apartment. I have healthy relationships with my family. I continue to go to AA meetings, even chairing one at ARC every Thursday night. I can truly say, without a doubt, that Adams Recovery Center played a huge part in giving me tools to live a productive, sober life. When I arrived at Adams Recovery Center, I was a broken man—a 34-year-old nobody living in his parents’ basement. I couldn’t hold a job and would steal from anyone and everyone I knew just to get one more. But I had finally had enough of that life and decided to go to treatment. Little did I know that going to ARC was the best decision I had ever made. I walked in a helpless, hopeless shell of a person and emerged a new man. The staff at ARC made me feel welcome, and the program was a lot more than I expected. We looked at why I wanted to numb myself from the world, and through their behavioral therapy, I learned a lot about myself and why I didn’t want to face reality. 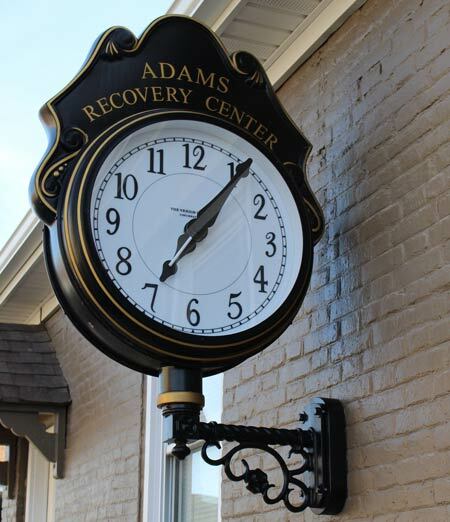 I can truly state that the staff and therapy at Adams Recovery Center are top-notch, and they really do care about each client that comes through their doors. I owe a lot to ARC for the man that I have become. I now have a great job and am managing a men’s transitional house in the city. Not only that, but I also can be a son, brother and uncle again to my family. My only regret is that I didn’t go there sooner to have my life changed.